In the previous section a Jenkinsfile which could be checked into source control was implemented. This section covers the concept of Multibranch Pipelines which build on the Jenkinsfile foundation to provide more dynamic and automatic functionality in Jenkins. The Multibranch Pipeline project type enables you to implement different Jenkinsfiles for different branches of the same project. In a Multibranch Pipeline project, Jenkins automatically discovers, manages and executes Pipelines for branches which contain a Jenkinsfile in source control. This eliminates the need for manual Pipeline creation and management. Click New Item on Jenkins home page. 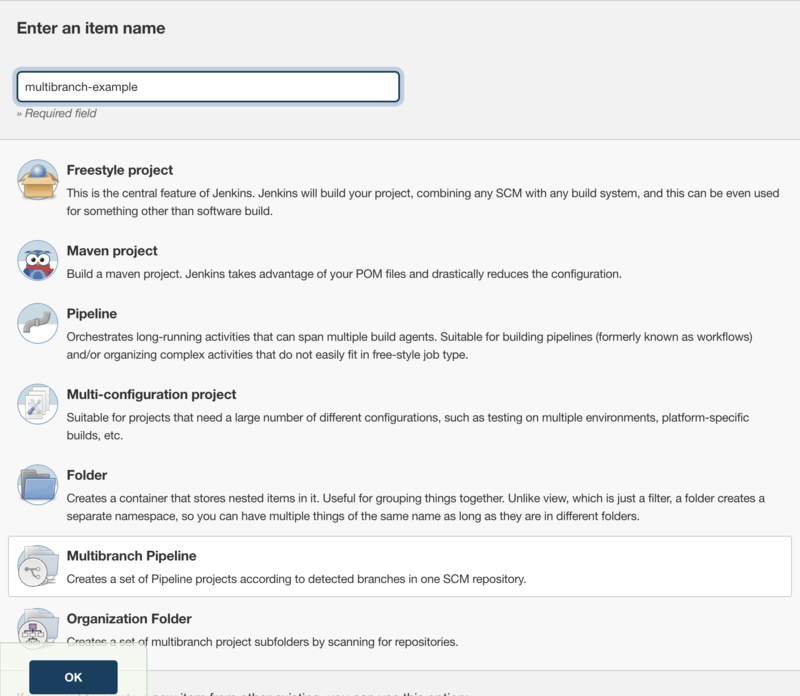 Enter a name for your Pipeline, select Multibranch Pipeline and click OK.
Jenkins uses the name of the Pipeline to create directories on disk. Pipeline names which include spaces may uncover bugs in scripts which do not expect paths to contain spaces. 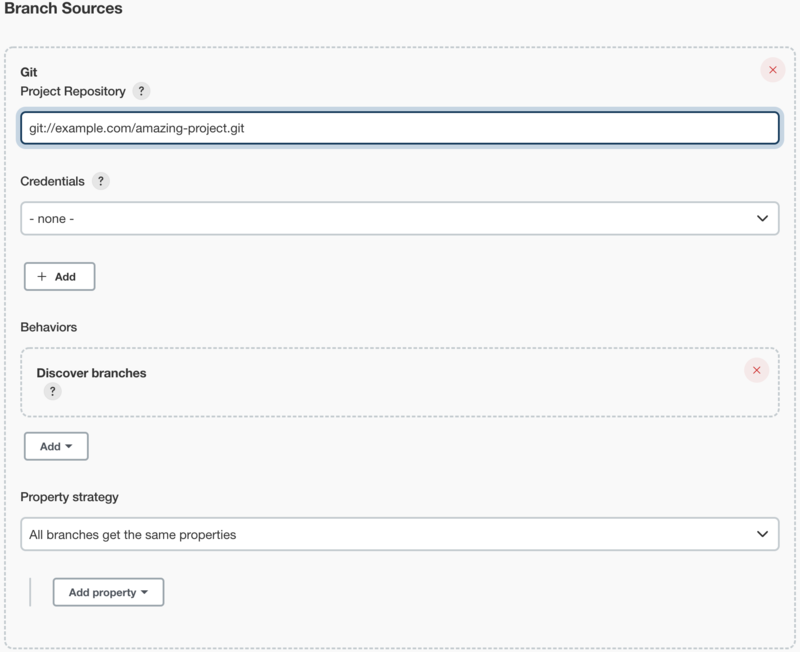 Add a Branch Source (for example, Git) and enter the location of the repository. Save the Multibranch Pipeline project. Upon Save, Jenkins automatically scans the designated repository and creates appropriate items for each branch in the repository which contains a Jenkinsfile. Name of the branch for which this Pipeline is executing, for example master. Additional environment variables are listed in the Global Variable Reference. With the "GitHub" or "Bitbucket" Branch Sources, Multibranch Pipelines can be used for validating pull/change requests. This functionality is provided, respectively, by the GitHub Branch Source and Bitbucket Branch Source plugins. Please consult their documentation for further information on how to use those plugins. 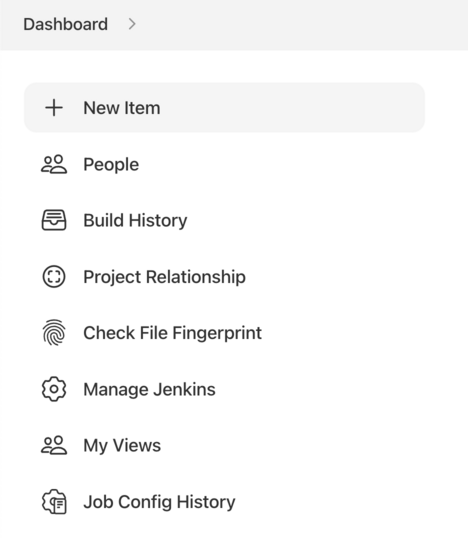 Organization Folders enable Jenkins to monitor an entire GitHub Organization, or Bitbucket Team/Project and automatically create new Multibranch Pipelines for repositories which contain branches and pull requests containing a Jenkinsfile. 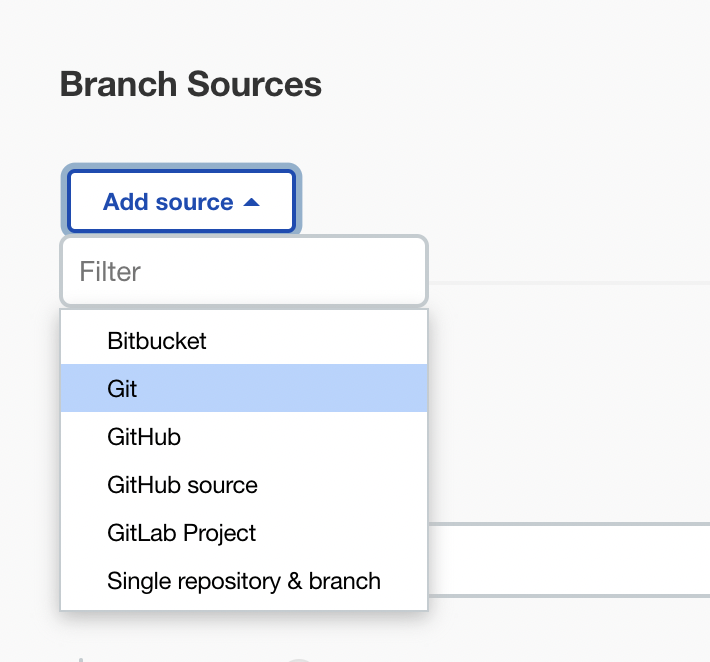 Currently, this functionality exists only for GitHub and Bitbucket, with functionality provided by the GitHub Organization Folder and Bitbucket Branch Source plugins.